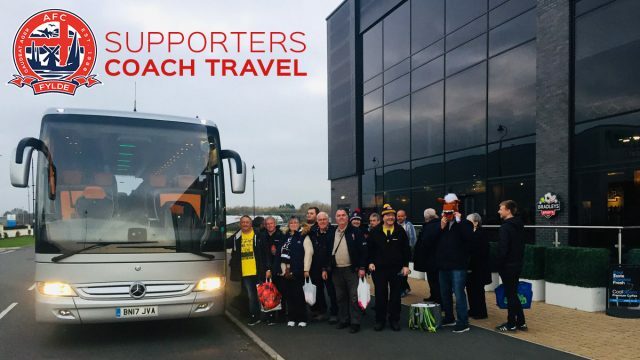 TRAVEL | Salford supporters coach on sale now! It’s set to be a massive tie on Easter Monday, as the Coasters head to title challenging Salford City. With the title now out of the grasp of the Coasters, the aim is to try and finish in third spot, and earn themselves a home semi-final in the playoffs. The Ammies have won seven of their last eight games, so it’s not going to be an easy task for Fylde, but with the playoffs beckoning, who knows what could happen. Travel is just £10 return once again, and is on either the early or the late coach, depending on which you prefer. To book yours, order now via the ticketing portal, or visit the club shop.